Coyaltix carriage shown set up for marathon with navigator cage. Easy 4 bolt system allows one to easily remove cage and attach “groom seat”. Beautifully finished wood dash and fenders add nice touches for cones and dressage presentations. Has single shaft attachment as well as pole for pair. 4 wheel disc brakes, 5th wheel, quick releases on pole and single trees. 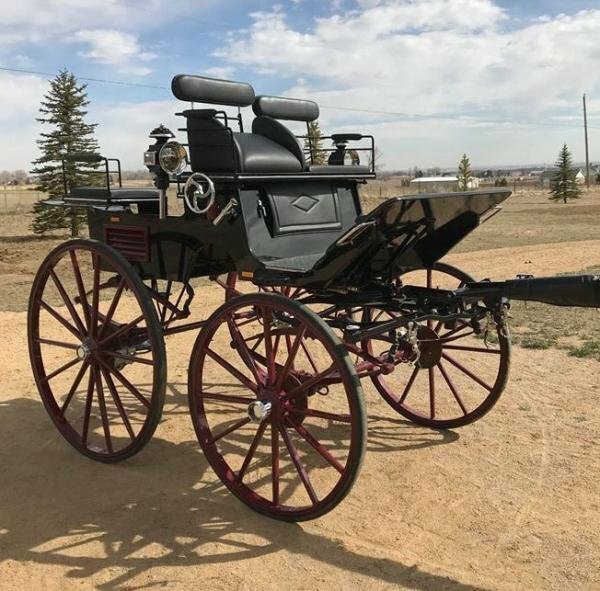 Great carriage! 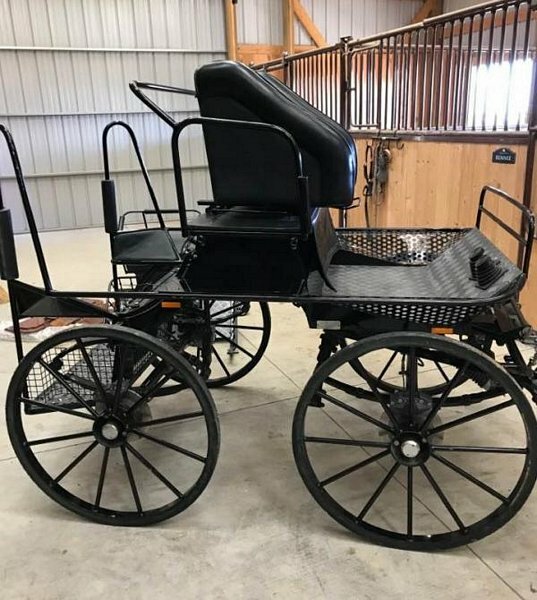 Used with single and pair of Friesians. 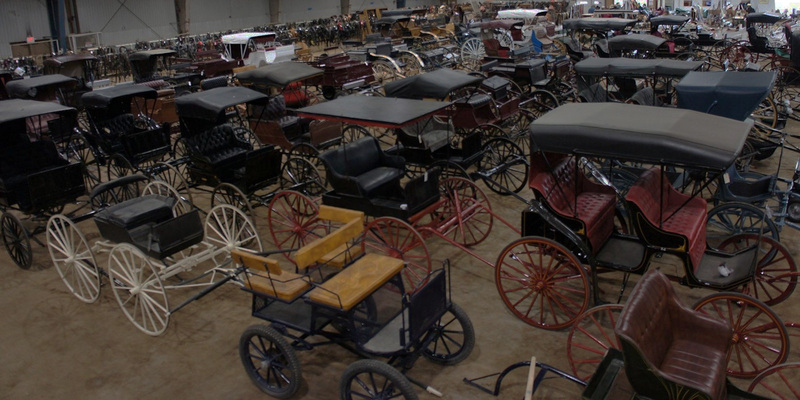 Hansmeier Carriage has four in hand break that can convert for a pair. Absolutely like new. Weight 380 kg. 4 wheel discs brakes, fifth wheel brake, delayed steering, B beautiful details of pin stripping on wheels, fenders, and side panels. 3 lamps (2 on sides and one rear). Selling only because I am no longer able to drive a pair.